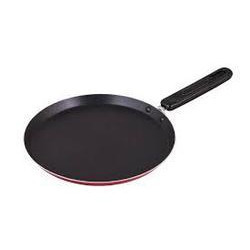 To meet the various requirements of the customers, we are involved in offering a wide assortment of Non Stick Tawa. Our company, Alif India Trade Links came into existence in the year 2007 with a view to serve to the ever changing preferences of our customers. We are a Sole Proprietorship based venture and have located our headquarters at Coimbatore, Tamil Nadu (India). We are instrumental in manufacturing, importing, exporting a wide range of products such as Gas Stove, Wet Grinder, Non Stick Cookware and many more. All our products are manufactured using qualitative material and are designed with precision which enhance their efficiency and make them best in terms of excellence. We are exporting 50% of our products to Sri Lanka and also importing our products from china.